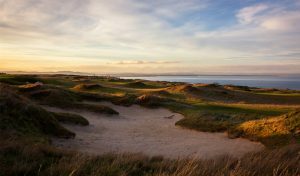 The Strathtyrum Course had its annual closure at the start of November. This was to carry out essential deep aeration work which is considered to be too disruptive and time consuming to attempt while play is ongoing. 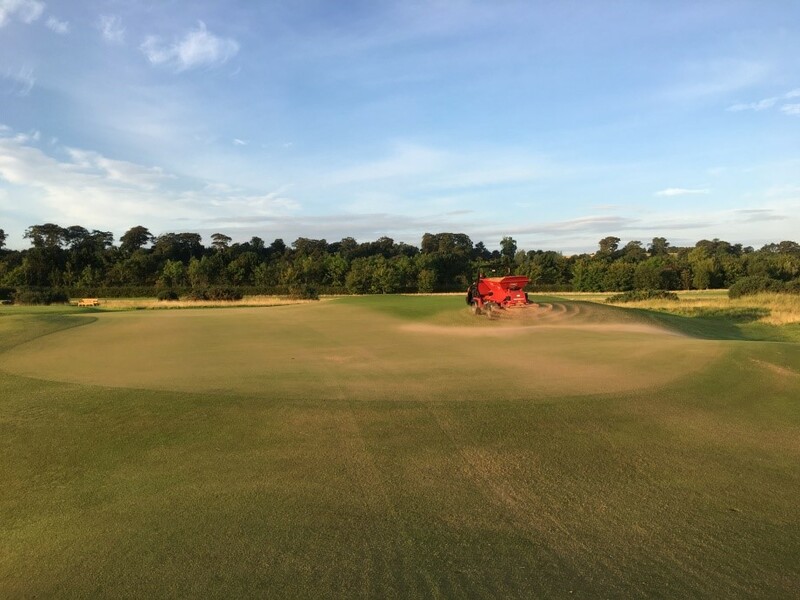 The maintenance day itself couldn’t have gone any better as conditions were dry if not slightly windy in the morning allowing us to coat the greens with sand topdressing prior to spiking the surfaces. Doing this helps to work the sand into the lower profile which means we don’t have to attempt dressing the greens after aeration. If we did, this would result in rutting of the surface i.e. tyre indentation caused by the heavy equipment used to spread the topdressing. Our usual set up for greens aeration equipment is a 10-12mm tine going into the ground around 5-7 inches at a 2 inch spacing. 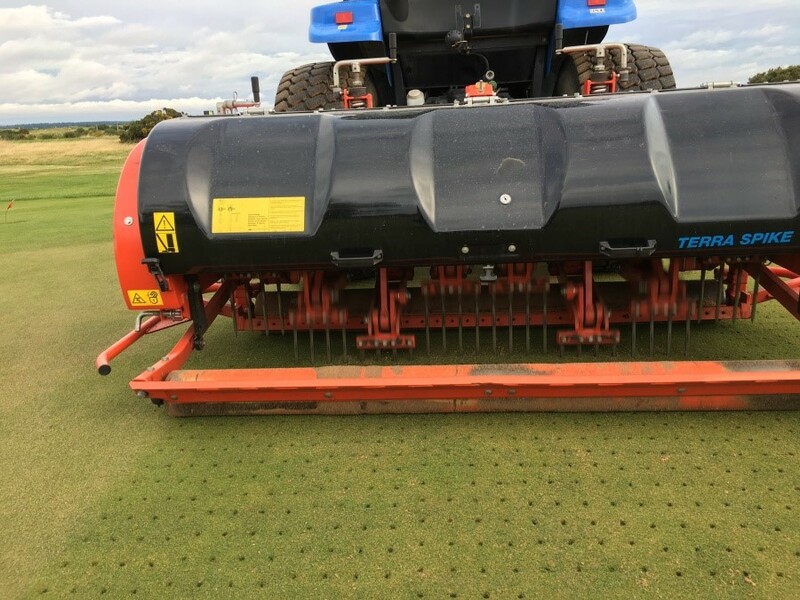 Known as ‘solid tining’, this helps reduce surface moisture retention and alleviates compacted layers within the soil. 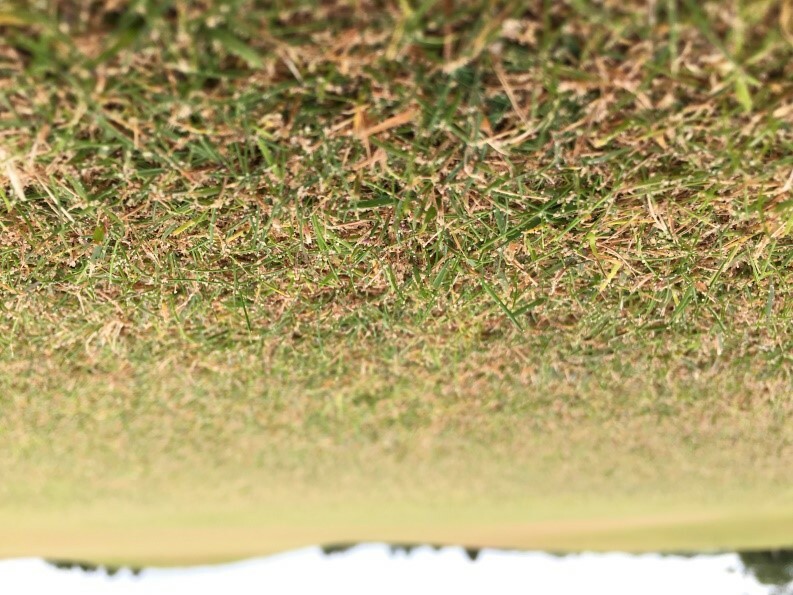 The tine holes allow the soil to breathe and benefits the good microorganisms that live within it. 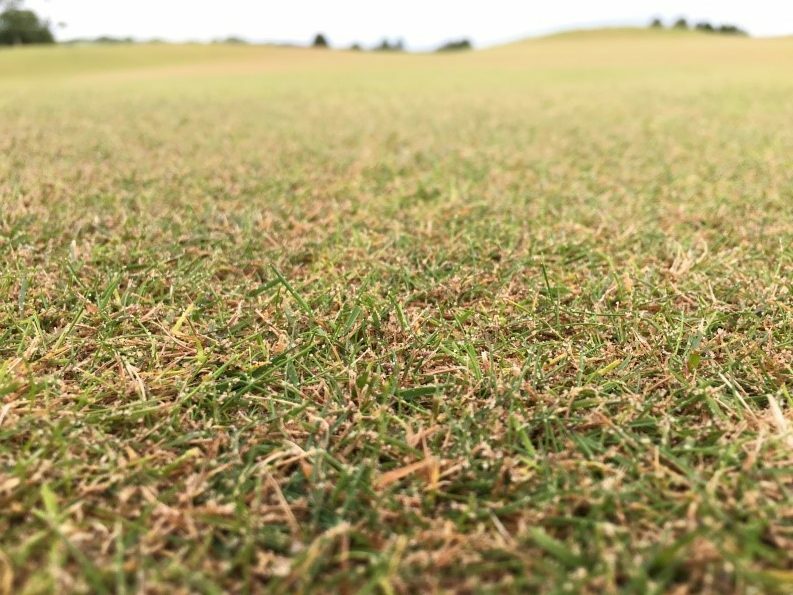 These aeration practices are vitally important to nurturing fine grass surfaces and help accommodate the demands of year-round golf. 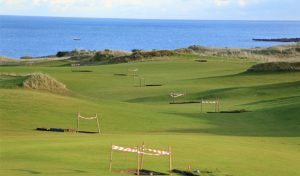 Each tee and apron received the same treatment. We used a ‘Toro ProCore’ around the aprons due to its smaller size and agility allowing it to work with the dips and swales that surround the Strathtyrum’s greens. 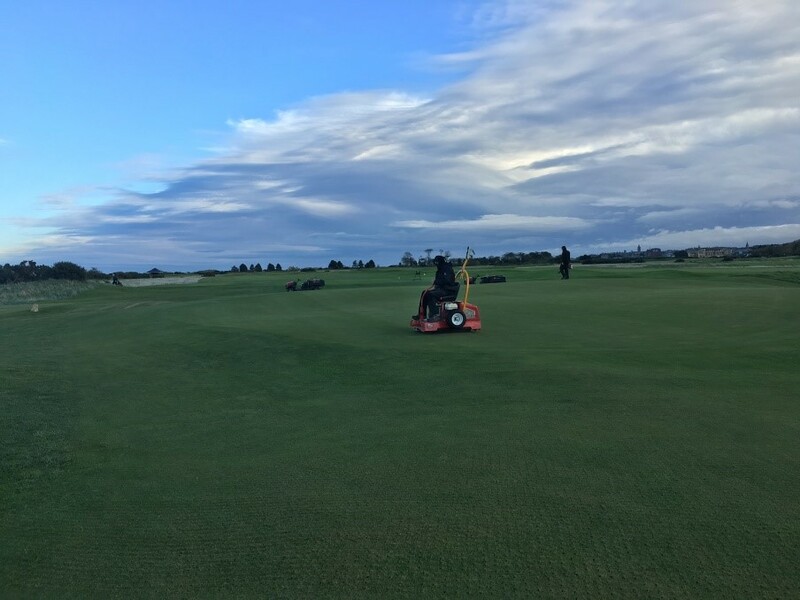 St Andrews Links is very fortunate to have such great resources that allow us to carry out these tasks in a relatively short time frame. After this work, the surfaces are then rolled with a machine called a ‘turf iron’. This helps smooth the surface and disperse any leftover sand into the base of the grass. 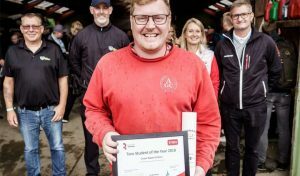 With these tasks taking place in the colder seasons, recovery time will take slightly longer than summer/spring time due to growth slowing down. 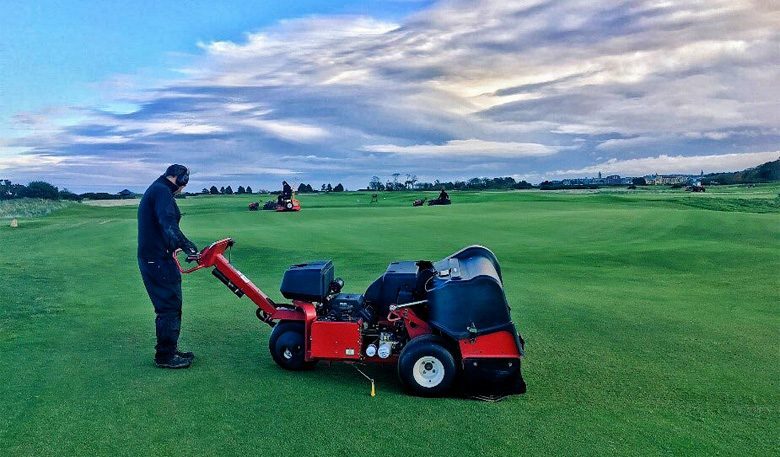 However, appropriate levels of cutting, turf ironing and top dressing will help these surfaces along preparing them to be in peak condition for the season ahead.